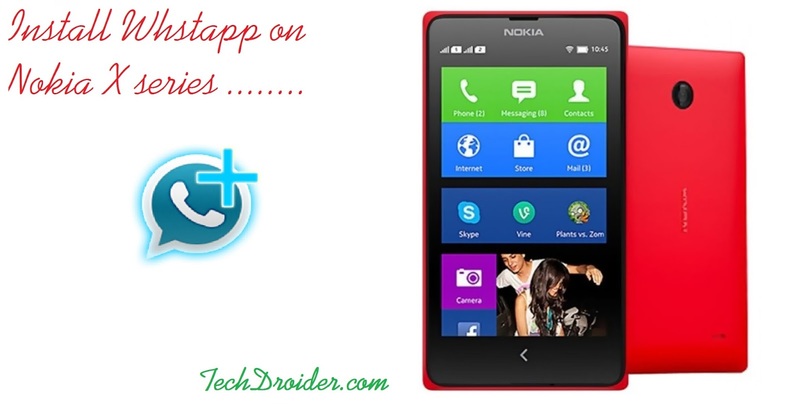 As we know the normal Whatsapp not works on Nokia X series , Nokia X series is a Android Os devices from Nokia . Nokia has launched few Nokia X devices named Nokia X , X+ and XL , But there is still no support of Whatsapp for Nokia X . Step 1 - Download Whatsapp from Whatsapp.com/android and Click on the Download Icon to Download the app directly on your phone , without using play store . Step 2 - Now install Whatsapp app and Go to the full steps till you get the error - Device not supported . Step 3 - Uninstall Official Whatsapp from your Nokia X device . Step 4 - Download Whatsapp plus from - whats-app-plus.com and Install it normally . Go through the steps and It will get Installed . Step 4 - Save , Reboot and Install whatsapp ( It will get installed ) .